WILLEMSTAD – Probably Sheldry Osepa, former Minister Plenipotentiary in The Hague, nominated by the MFK, will take over as new prime minister of the interim government. He'd already been through the screening. It was already clear that the current Prime Minister Gilmar Pisas would only temporarily perform the function next to the minister of Justice, as long as the screening of candidate prime minister had not yet been completed. Originally it was former Minister of Traffic, Transport and Spatial Planning Charles Cooper, but that seems to have no green light because of tax troubles and other issues. 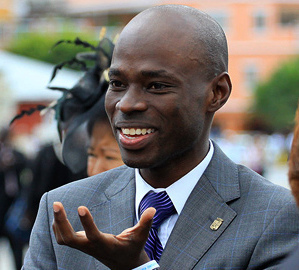 Osepa, a lawyer by profession, was the last Commissioner for General Affairs of Curaçao before the island gained its autonomous status on October 10, 2010. He then had the task of controlling the transition to an autonomous country. When that became a fact he was appointed Minister Plenipotentiary in The Hague. Which position he held until mid-2013. Osepa incidentally is not on the list of the MFK for the upcoming elections.